At the Gates originated from the roots of Death Metal and Black Metal at the beginning of the 90s and played an important role in the shaping the "Gothenburg Sound" of Melodic Death Metal. With "Slaughter of the Soul" in 1995, they delivered a masterpiece of Death Metal, which caught the attention of many at the same time as In Flames' "The Jester Race". For eleven years it was quiet around the band, but the new album "To Drink From The Night Itself" reflects the class of At The Gates impressively once more. 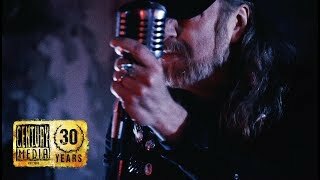 At The Gates show maturity and class with technically skilled songs with a wide sound spectrum that summon the hellhounds and shoot down the angels from the sky.